Japan is a country filled with wonder, excitement and natural beauty. With over seventy percent of its land being mountainous terrain, it’s not a surprise that these snow-capped regions hold so much religious and cultural importance, not to mention some of the most breath-taking vistas to exist. 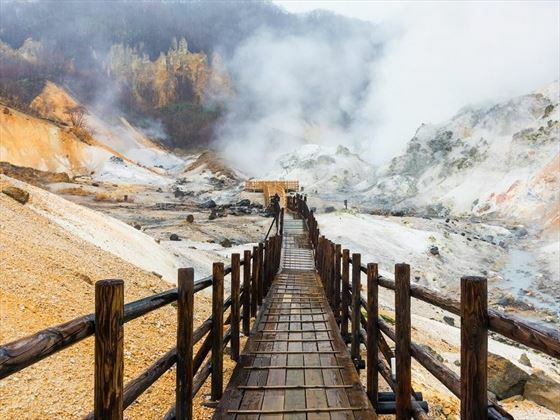 This 10-night self-guided tour invites you to explore the stunning region of Japan’s Alps. 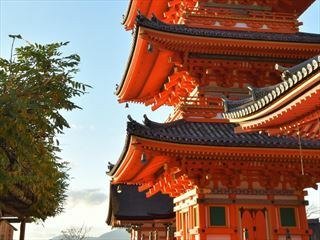 Starting and ending in Tokyo, you will discover temples, shrines and castles that nestle into flourishing gardens and towering mountain tops; you’ll sweep over volcanic lakes aboard a pirate ship and reach incredible speeds as you cross from the imperial city of Kyoto to the natural wonderland of Hakone. This tour will truly immerse you into the culture, landscapes and ancient history of this fascinating nation (DA). Upon arrival at the airport, you will be met by an assistant at the arrivals lobby for your shared transfer to your hotel in Tokyo. After check-in, the rest of the day is at leisure to begin exploring this wonderful city of contrasts. Today will be a full-day tour of this fascinating city with a local guide. Your day will begin with a visit to Meiji Shrine, followed by a walk down Omotesando Shopping Street. 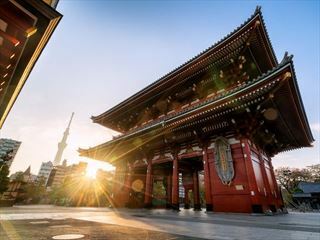 You’ll then head to Asakusa, known as Tokyo’s old town, where you will visit Sensoji, Tokyo’s oldest temple, and you’ll wander down Nakamise shopping street to browse the souvenirs and enjoy traditional local snacks. The tour will end in the beautiful Hamarikyu Garden with a steaming cup of matcha and Japanese sweets in a lovely tea house. Once you arrive in Matsumoto, you’ll have some free time to visit the castle and explore the surrounding town. 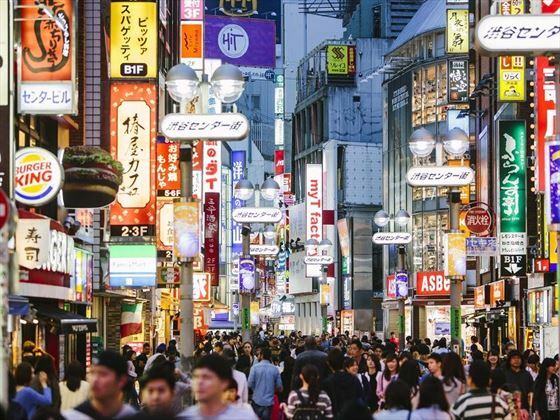 We recommend a wander to Nakamachi, a former merchant district that has been beautifully preserved and lined with small restaurants, cafes and shops. Also, the Japan Ukiyoe Museum is certainly worth a visit – home to over 100,000 famous Japanese woodblock prints, this is one of the world’s largest private art collections. There are no activities planned for today, so your day will be self-guided. 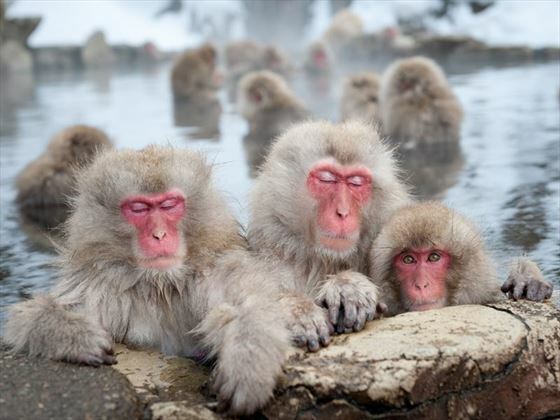 You can choose to continue exploring Matsumoto, or you may wish take a day trip – we suggest heading to Nagano to visit the historic Zenkoji temple, followed by Jigokudani Park to see the famous snow monkeys. (Train and bus fees are not covered in your JR Pass for these suggested trips). 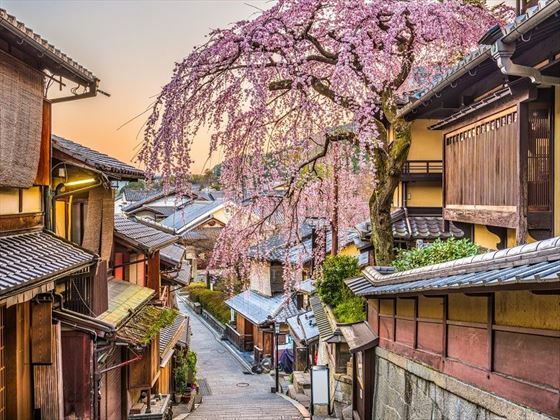 Today you will travel by coach to Takayama, a beautiful mountain town with many small temples, shrines, festivals, bridges and wonderful markets to explore. 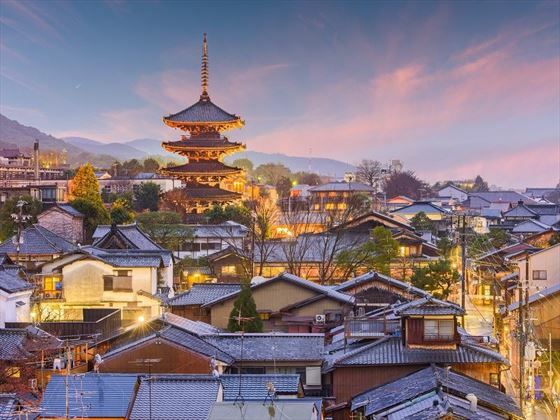 We recommend a visit to one of the alpine town’s sake breweries, serving some of the highest quality sake around due to the areas pure water sources. 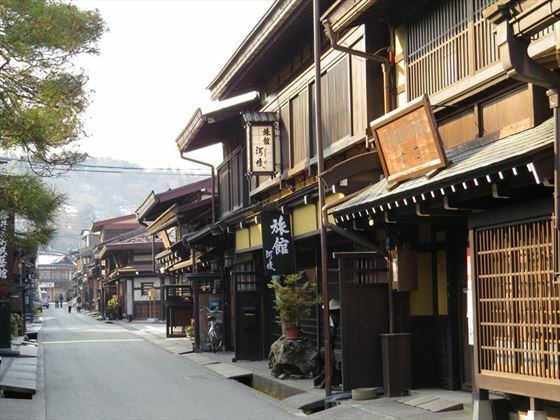 Head to the San-Machi Suji District to discover charming inns, shops and taverns which have been preserved for up to 300 years. Tonight, you will be staying in traditional, Japanese-style ryokan accommodation with hot spring onsen baths to unwind in. After breakfast, you can head up to the Miyagawa Morning market to try some of the region’s fresh, delicious fruit and browse the stalls selling local crafts and other produce. A short bus ride will take you to the Hida No Sato Folk Village, an open-air museum presenting 30 traditional farmhouses and other architecture from the region. In the afternoon, you could visit the Takayama Festival Floats museum and take a wander through the ambient old town. Alternatively, we highly recommend a half-day trip to the UNESCO World Heritage Listed Shirakawago Village. This famous attraction features gassho-sukuri farmhouses, some dating back to be more than 250 years old, with unique thatched roofs resembling the hands of praying monks. In Kyoto, you will have a fantastic opportunity to fully immerse in Japanese dining culture with a cooking class. Broken into two parts, the course will take around 4 hours and you’ll learn how to make 4 to 6 authentic dishes in total, and you can enjoy tucking into them afterwards in a cosy Japanese-style pub. You will be making your own way to and from the cooking class. 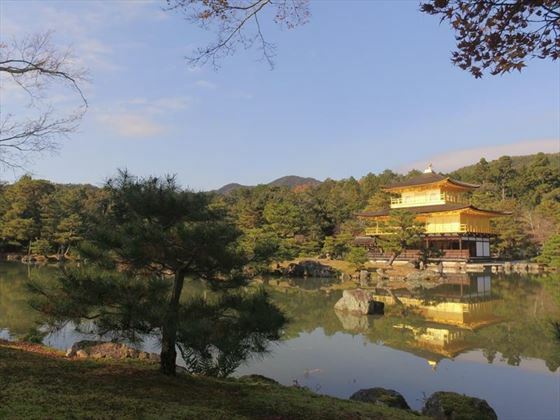 Today you will be exploring the wonders of Kyoto with a local guide, starting with a visit to the famous Kinkakuji Temple (also known as the Golden Pavilion). You’ll then move on to the ornamental Nijo Castle, which is surrounded by stunning gardens and exotic flora. Your last stop on the tour will be the bustling Nishiki Market, a narrow shopping street lined with over one hundred shops and eateries. To end your day, you may wish to explore a few more of the many temples, shrines and UNESCO sites around the former imperial capital. 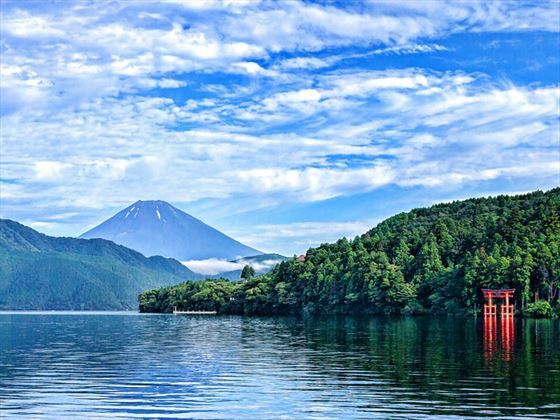 Hakone is an incredibly beautiful region blessed with snow-capped mountains lined by glistening lakes and views of Mount Fuji. Besides from its breath-taking vistas, there are lots of activities here including many historical sites, an extensive transport network with switchback trains, cable cars, ropeways etc. and there is even a pirate ship trip which carries you across the volcanic Lake Ashi with mesmerising Mt Fuji views. 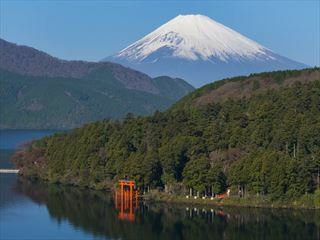 (You will be equipped with an included Hakone Free Pass which grants free access to all transportation in this region). Board the Romance Car Train back to Tokyo, taking around an hour and a half. For the rest of the day, you can enjoy free time at leisure exploring your favourite districts of Tokyo. You may like to take part in an optional 4 hour walking tour of Old Tokyo, which guides you around the cities Sitamachi (downtown). 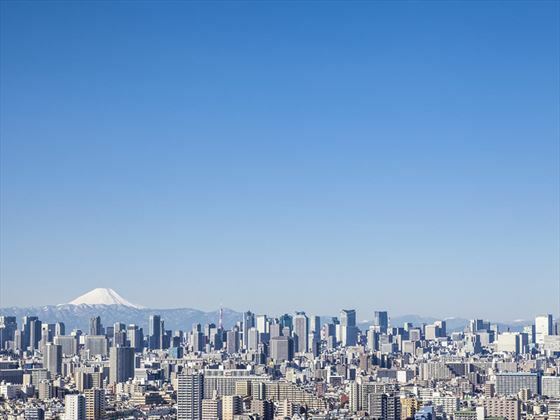 You’ll learn about the life and atmosphere of pre-war Tokyo, visiting old temples and shrines, Tokyo’s oldest Buddhist cemeteries, traditional shops selling Japanese paper and sweets, as well as the fascinating Sitamachi Museum, Ueno Park and the Ameyoko-cho market. Optional tour includes one drink and one snack. Your day is free until your scheduled shared transfer to Narita Airport for your return flight.